NorthlandDiamond Grip lagging has a diamond grooved top surface with specially developed rubber compounds that ensures better grip, improved belt tracking and reduced wear of the conveyor belt. 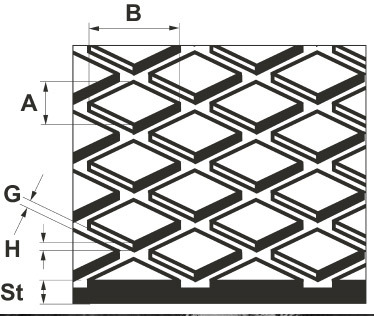 The grooves on the top surface facilitate outward movement of water and material trapped between the pulley and the conveyor belt, thus reducing the damage to the conveyor belt cover surface. Northland Pulley Lagging can also be supplied with a bonder layer, which helps in achieving higher adhesion levels and ease in bonding to the pulleys. Northland Pulley Lagging are available in various rubber cover grades, dimensions and designs as per customer’s requirement. For more details regarding the designs and the dimensions of the Pulley Lagging manufactured by us, you may please contact us.